There is perhaps nothing more painful for parents than receiving a cancer diagnosis for their child. Childhood cancers are generally rare, and in the United States, the death rates have declined by about 70 percent over the past four decades. Cancer, however, is the leading cause of death from disease among children. About 10 percent of childhood cancers are now known to be associated with specific, heritable genetic abnormalities. It is possible to use this information to identify children predisposed to developing cancer and detect their disease at an earlier stage, which could lead to treatment at an earlier stage and better outcomes. Based on this evidence, in October 2016, the AACR Pediatric Cancer Working Group convened the Childhood Cancer Predisposition Workshop to review the state of pediatric cancer predisposition science and current challenges, and to identify opportunities by which the AACR may accelerate progress in the field through its existing meetings, conferences, programs, and initiatives. The Childhood Cancer Predisposition Workshop, convened by the AACR Pediatric Cancer Working Group, brought together 65 professionals from 11 countries, including physician directors or co-directors of cancer predisposition programs, genetic counselors, radiologists, directors of adult cancer predisposition programs, and a pediatric endocrinologist. 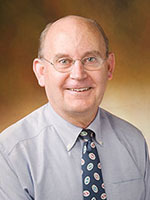 We asked the workshop chairperson, Garrett M. Brodeur, MD, professor of pediatrics; Audrey E. Evans Chair in Molecular Oncology; associate director of Abramson Cancer Center; and director of the Cancer Predisposition Program at the Children’s Hospital of Philadelphia, to tell us about the workshop and how this would help inform the pediatric cancer community. 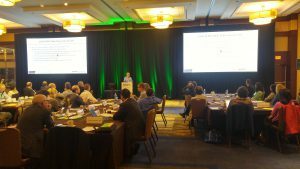 Why did the AACR convene a workshop on childhood cancer predisposition? What was the major objective of this endeavor? For a long time, predisposition for cancer in children was considered rare, except for very few cancers such as hereditary retinoblastoma. We are at an evolving time, and in the current era with widespread use of genomic sequencing, several studies indicate that at least 10 percent of childhood cancers arise as a result of genetic predisposition. The appreciation of this fact among experts in the field is growing. Given that in children, the overall risk for developing cancer is low, surveillance in the general population is probably not feasible or economically warranted. However, surveillance seems a sound strategy if target populations with an increased risk for developing cancer can be identified. One challenge is that individual syndromes that can be surveilled for cancer predisposition are rare, and at this time we only have established protocols or recommendations for cancer surveillance for a few disorders, but such protocols do not exist for most others. So, the AACR sponsored a workshop in Boston, from Oct. 6-8, 2016, which convened 65 professionals from 11 countries, including physician directors or co-directors of cancer predisposition programs, genetic counselors, radiologists, directors of adult cancer predisposition programs, and a pediatric endocrinologist. The major objective of this workshop was to develop international consensus recommendations to do (or not to do) surveillance for the 50 or so most common childhood cancer predisposition syndromes. The systematic implementation of these surveillance recommendations will provide important information on which future recommendations can be based. How are pediatric cancer predisposition syndromes identified? There are a variety of ways by which children with cancer predisposition syndromes are identified. Some are identified based on family history, including two or more first-degree family members with the same or related cancers, multiple family members with a similar type of cancer, multiple or bilateral cancers in the same individual, or a history of cancer in family members at a very early age. Other ways to identify these kids include physical findings or abnormalities that are associated with cancer predisposition. Also, certain types of cancer rarely occur outside the setting of a predisposition syndrome (like adrenocortical tumors). Further, in this era of personalized medicine, detailed genomic analysis of the tumors are often performed to assist with diagnosis, classification, risk prediction, and selection of therapy. These technologies, however, reveal not only the genetic alterations that were acquired [somatic] during cancer development, but also alterations that may exist in the patient’s germline or normal DNA, indicating that they may have a predisposition syndrome. Let’s look at some examples: In the general pediatric population, the risk of getting retinoblastoma is 1 in 30,000, indicating that the risk of childhood cancers in the general population is very low. However, almost 95 percent of the children who inherit a mutated RB1 gene will develop retinoblastoma, and on average they develop three tumors. Therefore, for those with a germline mutation in one RB1 gene, their risk of getting cancer is three times 30,000, which is almost 100,000 fold. The risk of getting pediatric neuroblastoma in the general population is about 1 in 8,000. However, if a child inherits a defective ALK gene, the chances of getting neuroblastoma are about 50 percent, so the risk in children with defective ALK is up by 4,000 fold. For other diseases the risk may not be as high, but it is still substantially increased, and surveillance can help catch these cancers early. The opening session of the Childhood Cancer Predisposition Workshop. What factors were considered in developing the recommendations for surveillance? We first started by answering the question, “What is the threshold to screen for a cancer among children who are predisposed, and how high should the prevalence of a type of cancer be to warrant screening?” The consensus was that a less than 1 percent prevalence of a particular type of cancer in those 20 years of age or younger is too low and, therefore, surveillance was not warranted, but if the prevalence is 5 percent or more, then we really should screen. Surveillance for cancers with prevalence between 1 and 5 percent would depend on specific factors and be considered on an individual basis. We also addressed several other questions: If surveillance for a particular type of cancer is recommended, what should you do, and how often do you do it? When do you start screening—at birth, or when they are a certain age? When do you stop screening, if ever? Does the protocol change over time? We also assessed whether any recommended protocols were available for some of these diseases, and if so, whether those recommendations could be adopted as they were written or modified to conform with current information for the disease. We addressed all the questions raised above and developed consensus protocols for the various diseases within these nine groups. The task was to come to the workshop in October 2016 with a draft of recommendations for each group of syndromes, to review and update this information during the meeting, and to develop a final document summarizing these consensus recommendations. We needed to start somewhere for a number of these diseases for which there were no existing protocols. We now have the recommendations for these 50 most common syndromes that predispose children to the development of cancer in their first 20 years of life. The publications will be made freely available so anyone in the world—patients, doctors, anybody interested—will be able to read and download them. What evidence do we currently have that supports surveillance as a tool to improve patient outcomes? There are only two disorders for which some information is available. There have been two consecutive studies on Li-Fraumeni syndrome—alterations in the TP53 gene that substantially increase an individual’s lifetime risk of developing cancer. In the first paper they compared children with the syndrome who were on surveillance with those who were not, and they found that the prevalence of cancer in the two populations was the same but the 3-year overall survival was dramatically different—100 percent survival in those who received surveillance versus 20 percent in those who did not. In the second paper, 5-year overall survival rates were 89 percent in the surveillance group and 60 percent in the nonsurveillance group. In another study, children with Beckwith-Wiedemann syndrome—and therefore predisposed to develop Wilms tumor and hepatoblastoma—had been screened, which had resulted in smaller tumors and improved survival. We can draw support for the value of cancer surveillance from experience in adults, particularly in high-risk populations with BRCA mutations or familial adenomatous polyposis disorder, which predispose those adults to breast/ovarian and colon cancers, respectively. Studies have shown that surveillance picks up tumors early in these populations and saves lives. After we gather some experience in following these surveillance protocols, we hope to meet again and combine our experiences to see how they are working and if they should be modified. We have to bear in mind that technologies keep changing—there may be new blood tests or imaging tests that can help further improve or simplify the surveillance protocols, but that might take at least a few years. We also hope to establish a website within the AACR Pediatric Cancer Working Group for pediatric cancer predisposition programs to build a listing of every bona fide pediatric cancer predisposition program in the world. We also hope to publish information about the various syndromes that people can read and download, in addition to providing links to legitimate websites and support groups. We would like people to get connected and share information.